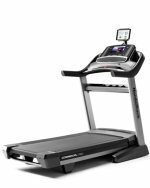 Despite the fact that Keys treadmills appeared on the scene as far back as 1997, they are still regarded as a relative newbie to the fitness equipment industry. The company is still evolving their line which has undergone a lot of changes over the past few years. It’s unfortunate that not all of those changes have been for the better. Under the Keys brand name, the company puts out a dozen treadmill models ranging in price from $999 to $2,799, which means they are competing in the most crowded sector of the treadmill marker. Keys Fitness also puts out brands under the name of Ironman Fitness, CardioMax, Power System HealthTrainer and Karen Voight. While most manufacturers have found gold in having their components built overseas, Keys has managed to do just the opposite. The parts for Keys treadmills are made in China but the workmanship, quality of components, and overall design has really suffered after these core production chores left US shores. Keys Fitness Products, L.P. filed for Chapter 11 bankruptcy on April 14, 2008. Treadmill warranties issued by KeysFitness.com are no longer valid. (Read this review we received from an irate Keys treadmill owner). We suggest contacting TreadmillDoctor.com for parts and service. Some of the choices for parts used on some treadmill models made by Keys Fitness make us scratch our heads. We weren’t thrilled, for example, to find thick orthopedic belts running on these machines. The ortho belt, while seemingly comfy, actually wears out the motor much faster and has been a real issue for treadmill owners to deal with. The thickness and increased weight of the belt causes overheating, and while cushioning is usually a feature emphasized on a specs sheet, it’s far less expensive to just buy a good pair of running shoes — and run/walk on a regular tread belt. Ironman and Keys treadmills have embraced contemporary styling but we don’t find the display (and the over-sized cup holders which dominates the console!) to be especially pleasing or aesthetic. 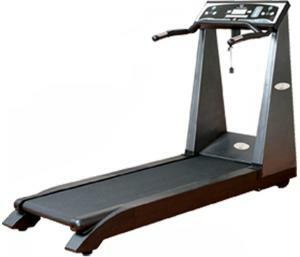 We see a lot of treadmill consoles and these are just ugly. Hey, as long as we are tossing out snarky review comments … we don’t much like it when the controls are located on the handlebars either! Quite a number of reviews have been alarmed at the number of electronic failures and overall sinking quality of the Keys brand of treadmills. Did Keys Fitness think we wouldn’t notice they had cut corners? The budget models offer better value than the more pricey ones but that doesn’t mean we would recommend any one of them. Until such time that Keys treadmills works out the problems with their new machines, you are better off going with another brand.